I would really appreciate the possibility to add some details or my own description to the bookmarks. It would be highly practical. I would use it i.e. 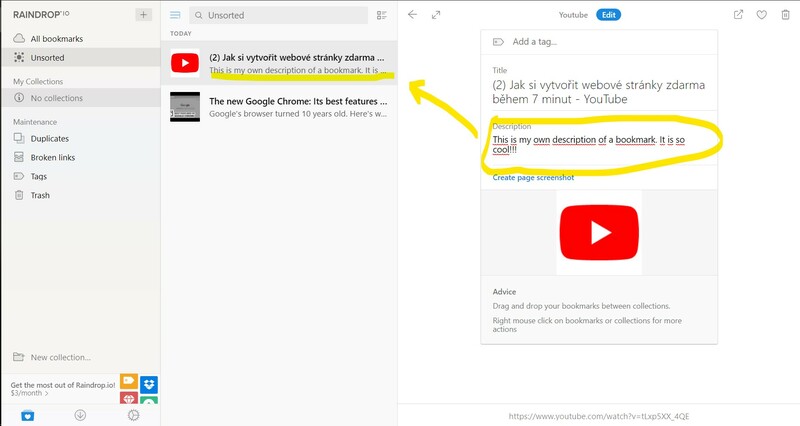 to write down times of important parts of bookmarked YouTube videos, etc.